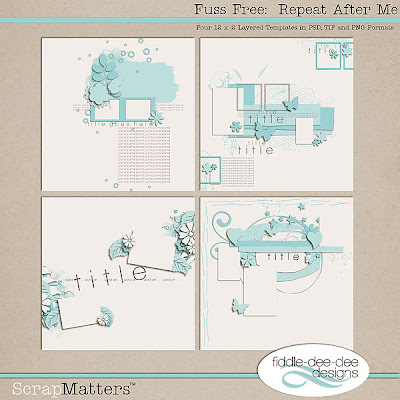 Fiddle-Dee-Dee Designs: Fuss Free: Repeat After Me ~ Available at Scrap Matters! 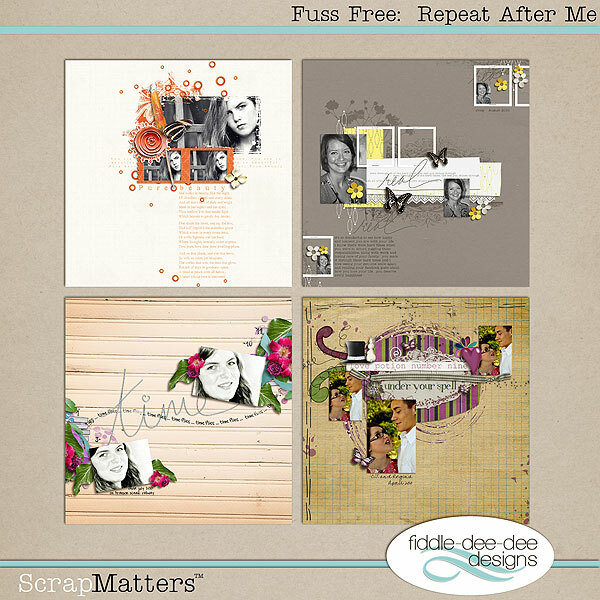 Fuss Free: Repeat After Me ~ Available at Scrap Matters! I'm a huge fan of photo repetition, so my newest template set is called "Fuss Free: Repeat After Me." You can use these templates to showcase a favorite picture using photo repetition, or you can add multiple photos for a totally different look. 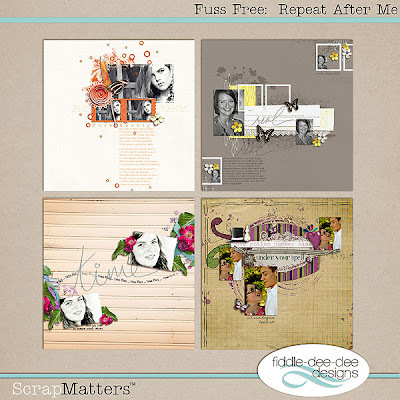 Image is linked to the ScrapMatters Shop. The templates are on sale for a limited time ~ 20% off! Grand Opening at ScrapMatters and a SALE!